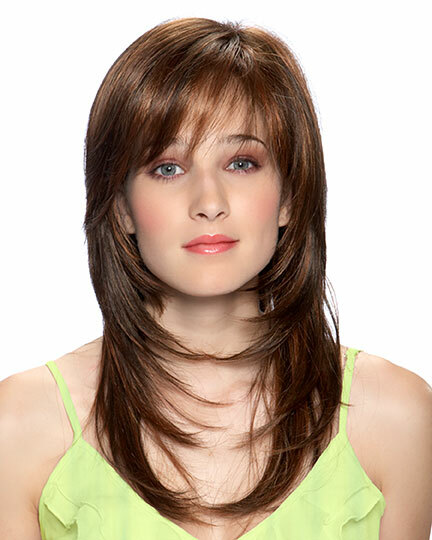 Fringe: 8.25", Crown: 15.0", Nape: 14.75"
Chanelle, designed by Noriko Suzuki for TressAllure, is a classic long over-the-shoulders wig with smooth layers and side swept bangs. Chanelle is ready-to-wear, pre-styled and designed to look and feel like natural hair. 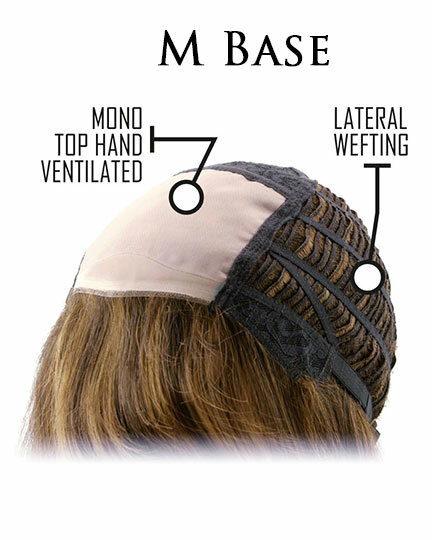 TressAllure Chanelle features a hand made monofilament (soft double mono) cap providing a more natural appearance and hair movement. If you love long hair and a sultry look, consider Chanelle. The second color way shown for Chanelle is in Honey Bean. 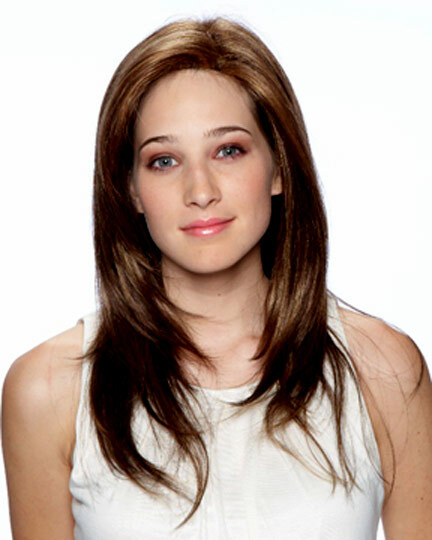 The Chanelle wig weighs 135 grams. There are 21 colors available for Chanelle. To Buy Chanelle, Click On A Small Swatch Below. If you would like to discover other products that share some of Chanelle's qualities try the links below.